We serve clients throughout Georgia and South Carolina. We have helped thousands of personal injury victims. Call us 24/7 to receive a free case consultation. We’ve Helped Thousands of Auto Accident and Personal Injury Victims. Injured On The Job? Let Our Firm Help With Your Claim. Committed To Providing Caring And Professional Legal Services. If you’ve been injured in a car accident, we can help. WE’RE SERIOUS ABOUT GETTING YOU HELP AND HAVING YOUR BACK FROM THE START. Welcome to JacksonMasseyWins.Com! We know you have many choices when it comes to hiring personal injury attorneys in Augusta, GA, and we appreciate your taking the time to visit our website. We know that if you are looking for a personal injury or workers’ compensation attorney, you need legal help. At Jackson R. Massey & Associates, P. C. we also know that whatever you are facing is making you feel angry, defeated or frightened and you do not want to face it alone. We don’t want you to, we want to stand for you, take on your adversary and fight your battle for you. We endeavor to balance the harsh realities of the law with understanding and compassion. We look beyond the “case” and can see the person, we see YOU. We will work extremely hard on your case while never forgetting that you and your best interests are at the heart of any case we work. We know that what we do today may affect you for the rest of your life. Jackson R. Massey & Associates, P.C., enhance their knowledge, experience and hard work with technology. We have invested thousands of dollars and hours of training in specialized software designed to help us track every aspect of your case from the beginning to the end. The law is complicated and unforgiving. We know how important the details of a case are. After all, attention to details can make the difference between winning and losing. Our law firm is a plaintiff-only firm, we do not represent at-fault parties, insurance companies or businesses. Our focus is on you, the innocent victim. We want you to feel welcomed, be understood, treated with respect and helped with quality legal representation. Feel free to call us 24/7 at (706) 403-0739. We’re ready to receive your call and assess your case. This all starts with your first phone call to us. When you call Jackson R. Massey & Associates, P.C., you will never have to talk to a recording and you will never be forced to listen to a “canned” directory. You will not have to press an endless stream of numbers and menu choices to reach a live person. We will always have a person greet you and help direct your call to the right attorney or staff member. We hope you will take the time to research our website. It has been designed with you in mind. Our personal injury lawyers serve clients throughout the states of Georgia and South Carolina in two areas of practice: Personal Injury and Workers’ Compensation. For more details about these areas of practice please choose the one or ones you are interested in from the above menu. The office of Jackson R. Massey & Associates, P. C. is conveniently located at 3643 Walton Way Extension in Augusta, Georgia near I-20and Bobby Jones Expressway. It is an easy drive from anywhere in Augusta, Martinez, Evans, Appling, Grovetown and Fort Gordon. We are also just a short drive from North Augusta, Aiken, Thomson, Lincolnton, Washington, Waynesboro, Wrens, Wadley and Louisville. If you are not able to come to us just let us know and we will be glad to come to you. Disclaimer: Because of the complexities of the Law, the information you obtain on this site is not, nor is it intended to be legal advice. You should consult Jackson R. Massey & Associates, P. C. for advice regarding your individual situation. Contact Jackson R. Massey &Associates, P. C. today by calling us at (706) 403– 0739 or contacting us by the email link on this website. Please note that just by contacting us you have not retained this firm and there is no attorney-client relationship formed. Therefore, please do not send us any confidential information. Once the attorney-client relationship has been established your confidential information will be protected. 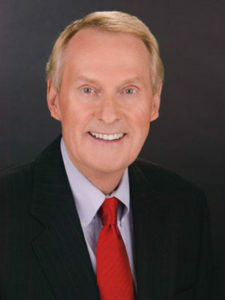 Attorney Jackson Massey has helped literally thousands of personal injury victims throughout the state of Georgia.